Sports highlight videos make great gifts, and are increasingly becoming an integral part of college sports recruiting. 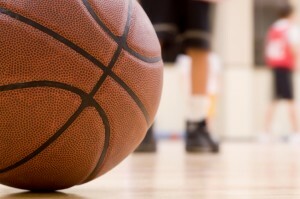 Do you have game footage from your son or daughter’s athletic events? Do you need some high definition video shot of an upcoming event? We can do it all! Whether we shoot it or you provide it, let us take that footage and create a polished highlight video that will make them look like a star! All highlight videos include background music, dynamic transitions, animated text and special effects. Send your highlight video to college recruiters and show them why you should be part of their team! Create a team highlight video to give as a gift at the end of the year sports banquet! We can also provide digital versions of the highlight video to upload to web sites such as YouTube, Vimeo or your own web site. We server all of Columbus, Ohio and the Central Ohio area. Contact us at 614.725.0169 or email info@blueavenuemedia.com to get a free personalized quote on your sports highlight video.